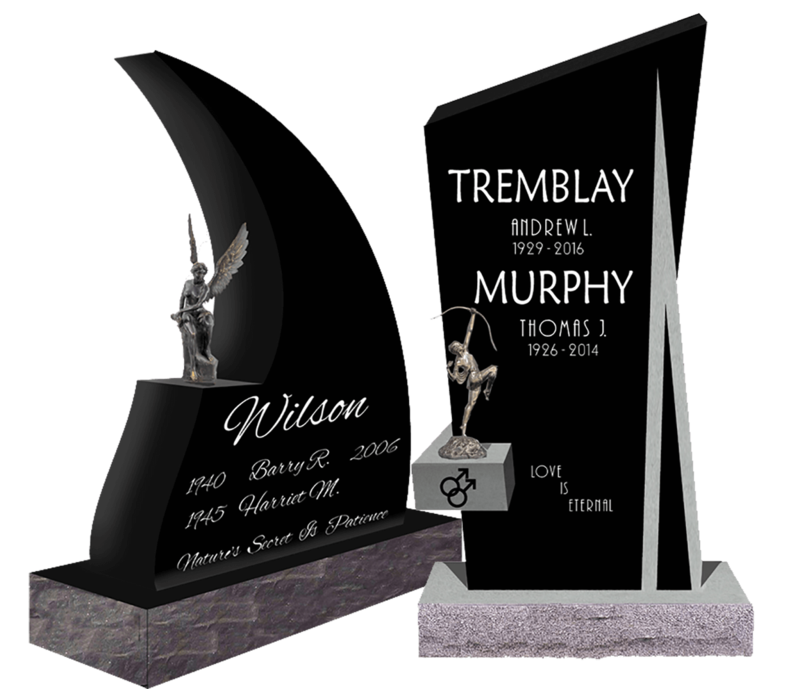 Beautifully Hand Crafted Headstones & Gravestones for all BC Cemeteries | Traditional & Custom Designed Memorials. 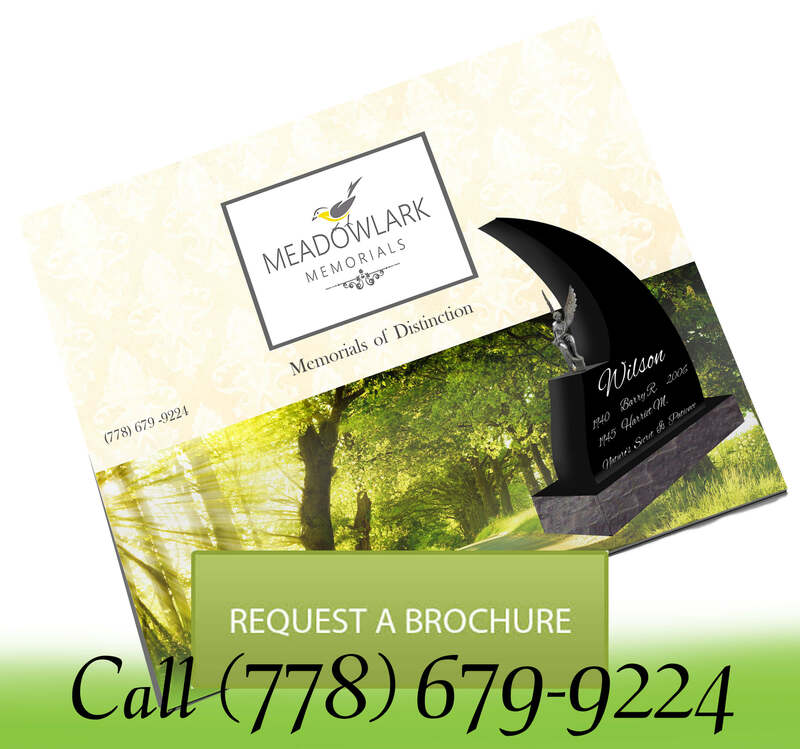 Meadowlark Memorials – preserving memories for eternity. 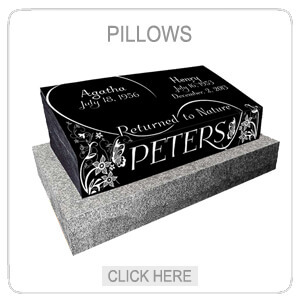 Beautifully handcrafted headstones as a testimonial to your loved ones life. 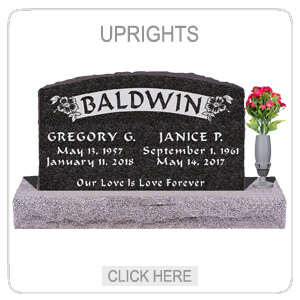 Testimonials for Headstones & Gravestones made by Meadowlark Memorials. Carl has done talks for my university students at a local cemetery. He is so knowledgeable Headstones & gravestones, both in the present and traditionally. Most importantly for us, he also has so much knowledge about monument conservation and restoration. I’m hoping it’s a long time before I need his services outside of working with students, but he’s definitely the man to go to! 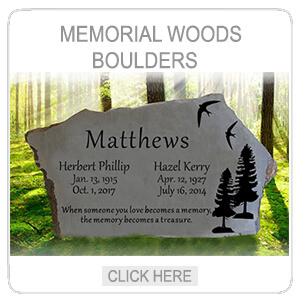 My experience with Meadowlark Memorials was possibly the best experience I have ever had with any business. I dealt with the owner Carl Hughes, Carl was incredibly patient with all my needs, I really felt like he cared about what I wanted, he listened to every detail and advised me to take my time and to not feel rushed to make any decisions. After a few phone calls with Carl, I felt like I was talking with an old friend. He wanted to learn about my husband in order to really capture his personality with hopes of translating that into stone. My Husband was an avid bird watcher and I wanted that to shine through in the memorial. Carl shared this hobby and was very enthusiastic and eager to begin designing. The end result is pure bliss, designed to perfection. I can not recommend Meadowlark Memorials enough. Truly a gem of a local business. Thank you Carl and Brad, for all your hard work. Carl was very knowledgeable and helpful in guiding us through the process and various options of having a stone made & placed. He was flexible in working out the timing, sensitive to our family’s needs, and replied promptly and clearly to questions. The art work was exactly what we had hoped for, is professionally done, and Carl installed the stone expertly at the cemetery. Thank you for all you did yesterday at Tom’s burial site. It is a hundred percent better. The new clear headstone has all the right ingredients for him and fits in with the others nearby. I went back before lunch and took a photo to send to Denmark and family on the mainland. My experience with Meadowlark Memorials was exceptional, I’m so glad to have made them my choice. Knowledge and skill were matched by prompt, courteous and thoughtful service. Artistry and attention to detail resulted in a beautiful memorial stone for my grandparents the entire extended family loves! Many thanks Carl Hughes! In such a hard time, Carl helped ease some pain with such a beautiful piece of artwork that will forever hold my grandfather’s memory. Carl was very professional and timely but also very precise in his work. I will highly recommend meadowlark memorials, because even though no one wants to talk about these things, when it comes down to it I want the best for my loved ones. Thank so much for the tribute you made for my father, everyone at Meadowlark Memorials was very helpful. The west coast art work on the boulder is beautiful. My father would have loved it, thanks again. Testimonials for Headstones & Gravestones from families on Vancouver Island. I would highly recommend Meadowlark Memorials. Carl did an excellent job of restoring our great grandparents grave marker and also inscribing the name of our great grand mother, 100 years after her death. I am sure that she is pleased as well. Everything was done in a very thoughtful and professional manner. It was a pleasure meeting you yesterday. 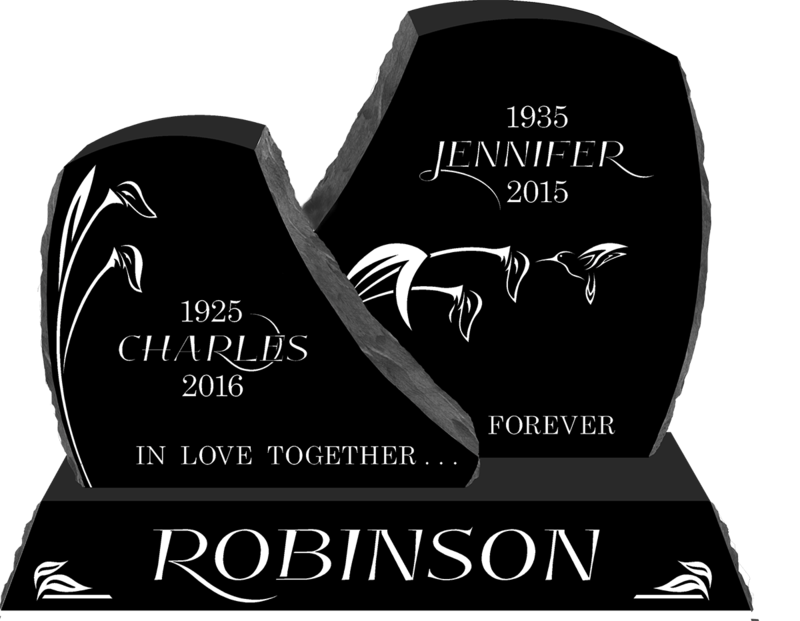 If I have an opportunity I will certainly have no hesitation in recommending you and Meadowlark Memorials for Headstones & Gravestones. Carl I am so glad I found your little ad in St. Luke’s Cedar Hill Prescription Newsletter. My parents & grandparents gravestones were looking so neglected. Especially after the fabulous cemetery clean-up jobs the volunteers have been doing. I had my grandparents stone & grave cover redone 22 years ago. At that time, the stone had to be removed, taken to a work shop, then returned for re-installation. Now you can do all of this onsite! I personally found Carl & Meadowlark Memorials very prompt with inquiry responses. very reasonable with quotes & time lines as well as courteous and accommodating. The job is completed and the results are amazing. I could not have possibly expected more. On behalf of the Hitchcox Family I thank you so much! You come with our highest recommendations. I went out to the memorial park to see the flat marker you engraved for my mother. It is absolutely beautiful, the granite is the exact color I wanted and the rose carving is perfect, Thanks to all who helped us with this memorial. Thanks to all at Meadowlark for your fast delivery with dad’s gravestone. I am glad I went with the black cameo cemetery vase, it certainly adds to the beauty of this wonderful tribute for my mother. Words can’t describe how pleased I am with the memorial bench, the inscription looks great, you have helped us every step in the design. I will recommend your monument company in the future. 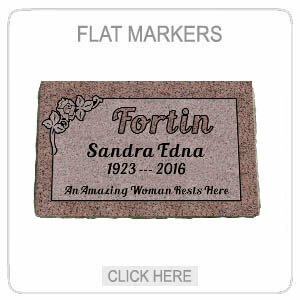 Choosing a cemetery marker was a difficult time, but thanks to Meadowlark Memorials it was a lot easier. The whole family is going out Saturday to view the grass marker, I’m sure they will be as thrilled as I was with it. 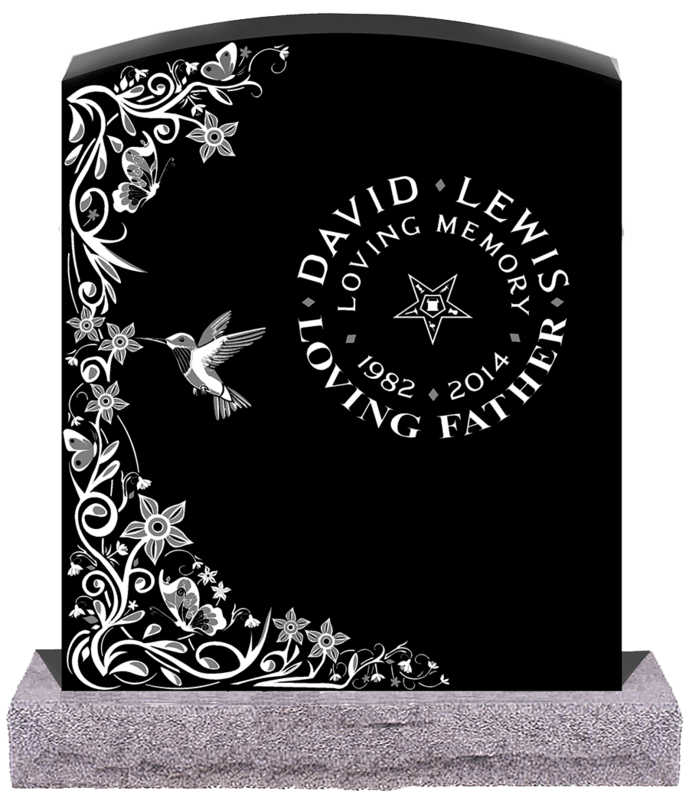 I was looking for someone who could do a detailed piece and I can now say, Carl is excellent at engraving as he is an excellent artist.If you are looking for Headstones & gravestones, this is the place to call.